Start Your 14-Day Free Trial To Access This Video Now. 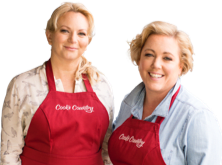 Cook's Country, Cook's Illustrated, and America's Test Kitchen! It's easy to impress with an expensive beef roast, but can you make an equally big splash with an inexpensive cut?